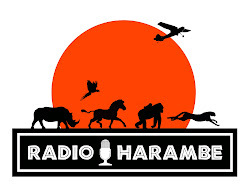 Jambo Everyone: Harambe Nights Coming to Disney's Animal Kingdom? 'Harambe Nights' will run on Saturdays, from June 7 to August 9 2014, 7pm to 10:30pm. I don't want to comment too much on this until we have more details, but I thought we should at least pass the rumor along. Certainly the existence of "Harambe Nights" is confirmed by the emails, but what it is and how much remains in the rumor mill, at least for now. My initial thought is WOW THAT'S EXPENSIVE! But without really knowing what you are getting in return for the big price tag it's impossible to criticize it. Considering the timing of the event, we should know a lot more in the not-too-distant future.